Not going to have any explanation here, but I’m going to post a picture. It’s about something new I’ve been working on for a little while now, but i won’t be saying any more just yet. A few certain posts in the past have alluded to this, but i don’t know if anyone will see the link. 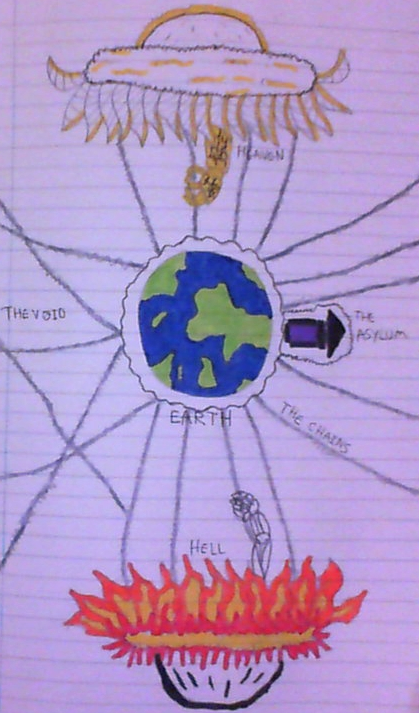 I can’t promise it will be a very clear picture because it’s bigger than normal, but it should be legible enough. It’s merely intended as a teaser. So commence the not-so-rampant speculation i suppose. What is this silliness? Has Harley finally lost his mind? What is this showing? A new world? Have a crazy day inmates! You’ll never guess what happened! I got nominated for the Liebster award again! I’m very seriously considering creating a category on the blog dedicated to these things, i know i said it last time but i truly might. This time i have been nominated by Rami Ungar The Writer, a gentleman if i ever saw one. Apologies to Rami for leaving this response so very late! He is another great horror writer and also has some interesting reviews. Go check out his blog, you won’t be disappointed. 1. Write 11 random facts about myself. 2. Answer 11 questions Rami came up for me. 4. Come up with 11 questions for my nominees. 1. I once forgot where i lived. I don’t know what happened but i finished school and just couldn’t remember. My friends had to show me. 2. I once wished i could become a video game designer. I don’t think i really have the ability to do it though. I’m quite happy with writing now. 3. I really hate riding in cars. 4. Even though i don’t like being in water, i adore being on boats. I actually often wish i could get a job on a yacht or a water bus. 5. I once got called Johnny Depp. I don’t see the resemblance at all. Not even the slightest bit. 6. My favorite color is dark green. 7. I have an unhealthy obsession with hats. Top hats in particular. 8. I have no real political views at all. I prefer to stay out of all of that. 9. I once got my head closed in a car door. I sometimes wonder if that’s when the voices started. Haha! 10. I really like Steampunk music. 11. I’ve only ever watched one band live. That band was the Shanklin Freak show. What is your favorite genre of fiction? It would have to be high fantasy. I love big monsters, armies and huge battles and the like. I’m also quite partial to horror and historical fantasy. If it had to be anything it would be water. I’m not a fan. When you were growing up, what did you want to be when you were an adult? I wanted to be a video game designer, i loved video games then and now. There was also a bizarre patch where i wanted to be a priest despite not being religious. The mind boggles. If you could hang out with one superhero for a day, who would you pick and why? It would have to be Batman. Simply because i can undermine him so the Joker can win. Wink wink! Cats. Hate the damn overgrown rats. What is something you never thought you’d end up doing but you found yourself doing it? To be honest, blogging. I never ever expected that i would be trying to get my writing out into the world. What do you look for in a potential romantic partner? I think it would be a little bit pointless to answer this. I have Lee. Haha! What is something you wish you could change about yourself? If it had to be anything, probably my height. I don’t really fancy being short all my life. What is something you’d like to do before you’re 80? 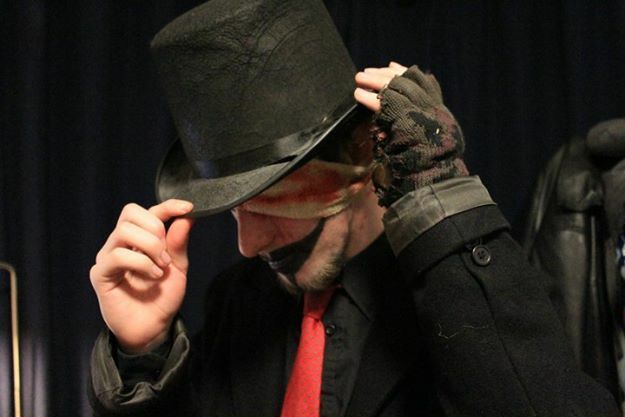 See Steam Powered Giraffe or Poets of the Fall live. This is a difficult one to answer as i remember very little about my childhood. It would have to be meeting my group of friends for the first time. I’m still friends with most of them now, over 15 years later. If you found a large brown spider crawling up your leg right now, how would you most likely react? I’d most likely squash it. Spiders don’t bother me. I’m not violent i swear! Haha! Now i need to nominate 11 other bloggers for the award. Here goes. There we go. Those are my nominees. They’re all quite brilliant, be sure to check them all out! So now for the questions for them to answer. 1. Are you afraid of clowns? 2. If you were asked to spend a night in a supposedly haunted mansion for a fortune, would you? 3. Do you prefer poetry or prose? 5. On a relaxing night in, do you prefer a book or a film? Why? 7. What is your opinion of the situation in Ukraine? 8. Do you listen to music while writing? What kind? 9. Do you like/watch anime? 10. Describe yourself in three words? So there we go! Those are the questions for my lucky nominees! Be sure to check out each of the nominees, they really all deserve the attention. Also, thanks again to my good friend Rami, be sure to check out his blog as well. You won’t regret it! Thank you for reading. Have a very crazy day! I hope you’re all having a pleasantly crazy day! After a few weeks of copious amounts of “umming” and “ahhing”, i finally decided to create a Facebook page for the WorldofHarley. I’m finally making the plunge, so to speak! I’ve been unsure about it ever since i started this blog. I know that greater exposure and such can only be a good thing, but i fear the sort of drama that Facebook is known for creating. That’s not to say i intend to create any drama of course, but i suppose I’m saying Facebook has something of a reputation. I’m probably being absurd. 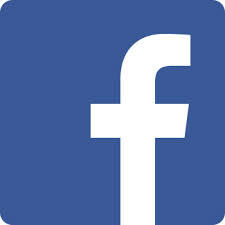 I’ve created the page itself on Facebook. It doesn’t have anything on it yet as you would expect, but in the next few days I’m going to be sharing all sorts of stuff on there. Interesting pictures, random thoughts, various odd things and of course links to the blog posts I’ve made. I’ll be including links to blog posts both as i post them and older posts that WordPress’ publicize function will have missed. Hopefully there will be something to interest WorldofHarley ‘veterans’ as well as newcomer inmates. Here’s hoping i can entertain you all! You can find my Facebook page over here! I’ve enabled the Facebook widget on the sidebar of my blog as well as adding a link in the ‘Contact me‘ page. It would mean a lot to me for any of my inmates reading this to go over to Facebook and like my page! I seem to ask a lot of my readers, but it really does mean a lot. Thank you all! I never saw what killed me. Never saw what turned me into a specter. I end up in the same place. My very own ferry over the Styx. A handsome oarsman in a high visibility robe. And a ultramarine light show. I bled out hours ago. The bodybag fulfills its purpose. It has taken my safely over the Styx. It has protected me from the burning rapids. Also known as the underworld. I once built a wickerman. It was on the advice of a friend. A twisted focal point for my humanity. I threw my whole self into it. My hopes for the future. I became an ember of my former self. As if wishing to escape. Turning my heart to hatred. Like the world around me. And my soul with it. I am human no more. They say the eye is the window to the soul. You can see a persons good in their eyes. A looking glass to the soul. An eye reveals who someone truly is. But what of your periphery? That forgotten component of this looking glass. Your periphery is a nexus for your imagination. An object seen in the corner of your eye could become anything. Was that shape a killer? Was that flash a specter? Was that shadow a monster? Was that light an angel? The corner of your eye could be benevolent. Or it could be treasonous. It depends on your imagination. Do you dream of love and peace in this world? Or do you perhaps dream of carnage and villains? Do you imagine worlds of shadow and mystery? Then look to your periphery vision. It could show you anything you wish. Or that which you don’t. I hope you’re all having a fine weekend. 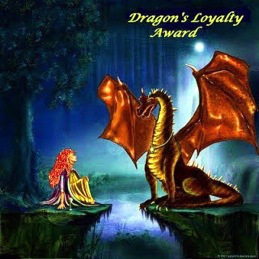 It looks like i was nominated for another award thingamajig, this time the Dragon’s Loyalty Award. I daresay I’m going to have to create a category for award posts soon! Although these awards are, as one blogger put it, “glorified chain letters”, I quite enjoy doing them. They give me an opportunity to write a little about myself and highlight other bloggers who deserve much more exposure and attention. I was nominated for this award by my very good friend Becky from Creativity is Key. Becky runs a great blog, she writes some pretty great poetry and some other interesting posts about writing related things. Check out her blog, you shan’t be disappointed! Thank you very kindly Becky! As always, it means a great deal! It appears that this award is designed to highlight loyal bloggers who comment and like your blog fairly regularly. Nominate your friends basically. Hence Loyal Dragon’s Award i suppose! I hope i got that right! 3. Present the award to deserving bloggers. 4. Drop them a comment to tip them off after you’ve linked them in the post. Right, now i must nominate some bloggers for the award. The rules don’t actually appear to specify a number, but Becky nominated seven so i shall too. Now i have to write 7 “interesting” things about myself. I don’t know about interesting, but I’ll give it a try! 1. I tend to eat very bland food. I despise gravy and i avoid sauces like they’re made of rotten bugs. I like my food dry. The more bone dry, the better. The only thing i like to put on my food is salt. 2. My favorite band is the Poets of the fall. I adore their powerful lyrics and the lead singer is amazingly skillful. I even try to avoid listening to them too often so that their music always has the most positive effect. It’s like the first time each time. 3. I’m actually quite terrible in social situations. I never know what to say and i don’t always feel comfortable when there are groups of people around me. I’m naturally shy i suppose. 4. This may not seem like a huge surprise but i really like clowns. I don’t understand why people find them scary. 5. I like to go for walks in the middle of the night, usually for no reason whatsoever. I don’t really have any trouble navigating in the dark. It helps my think. The brighter the moon, the better. 6. I’ve only ever broken one bone. I broke my left hand in a minor motorbike accident about two years ago. It was a bit of a nuisance, but i did a whole days worth of work before i went to the hospital. Insanity i say! 7. I am unreservedly an atheist. Well, there we are! There are some “interesting” things about me. So yes, thank you once again Becky. Be sure to check out her blog, it’s really cool! Congratulations to all of the fellow bloggers that i nominated. You all deserve the exposure. Be sure to check out the nominees as well! “There are many stories and folkloric tales where the power of Dust magic was used with the best of intentions. It makes sense, great power should be used for good. However, even the most pure of intentions cannot halt the corruption that stems from the Dust. The tale of Thistle-Knoll is one such story. Thistle-Knoll was a Human built town that rested in the hills on the edge of the Taklik region, also known as the Swamp of Contagions. It was founded about two years after the War of Perspectives as a collaborative effort between the Bulrin Empire and the Kingdom of Riefe. The purpose of the towns position was twofold. Firstly, to act as lookout point into the Taklik region. This region was largely unknown at the time and both nations feared what may lie within. Secondly, it was created as a diplomatic gesture between the two nations. Both nations would have a presence in the neutral lands thanks to this towns position. As it was a collaboration between these two Human countries, the population was predominantly Human, with a minority of Demiens. Settlers from both countries rolled in day by day until the population was really quite large, particularly for such an out of the way area. At first there was disagreement between Riefe and Bulrin over who should be left in charge of the settlement. It was eventually decided, however, that Arrick Nils was to be left in charge. Arrick Nils was a well known Bulrin scholar. He proudly took the mantle of mayor of Thistle-Knoll. Riefe insisted that Jean Bruel, an adviser from Riefes court, was to be added to Arricks entourage to add a little Riefan weight to the decision making process. These two men proved to be a superior partnership, they loved and respected the people under their charge. Both noble men, they dedicated themselves wholly to ensuring the stability of the fledgeling settlement and the safety of its citizens. The town was at its peak roughly fear years after it was initially founded. It was something of a model town, especially considering it’s unconventional position. Happy citizens, well supplied, well protected by its militia and it’s landscape. It was proudly paraded both in Riefe and Bulrin as a example to follow. 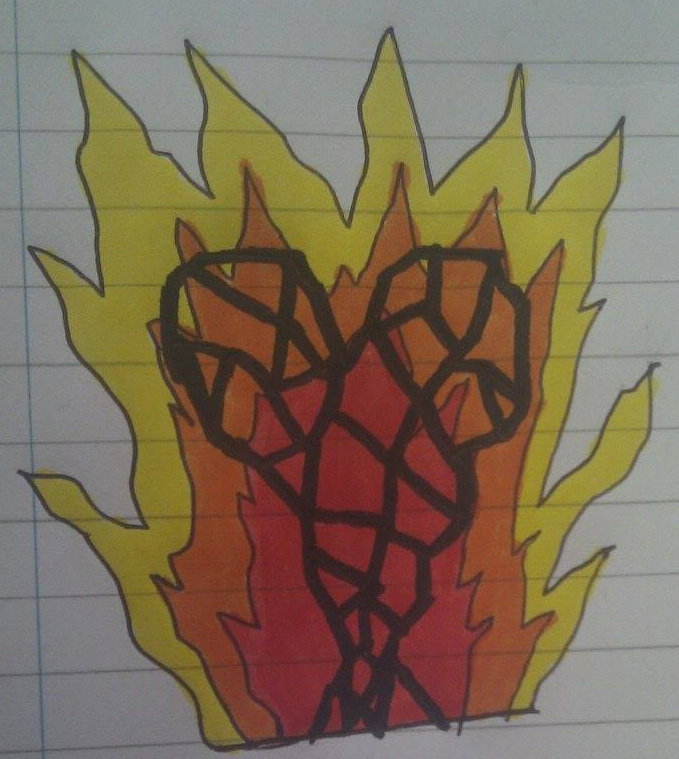 It was seen as a symbol of Riefan and Bulrin cooperation. How ironic that it would soon turn so very rotten. How did it all go so wrong? Halfway through the sixth year of the towns life, reports began coming in of hunters and wild animals being found dead, Stone cold with entire strips of skin and flesh hanging off or missing entirely. For some reason, this dismemberment (if it can called as such) usually occurred on the victims lower jaw and forearms. It was far from restricted to those areas though. A frightening development, by all reports! Understandably there was a panic as the “plague”, as they called it, appeared to be leaving a swathe of death and destruction literally directly towards the town. As you’d expected, citizens began to fall ill all over the town. They complained of immense pain, visions of snakes and the sound of incessant and uncontrolled laughter. Men of science and medicine began to look for a cure, including Jean Bruel, who was an experienced alchemist. These learned men gave the plague a name, a name that is remembered as a horror of science. They called it the “Morbid Laughter”. The story becomes a little bit odd now. It’s not entirely clear who wrote the reports I now have but it makes for pretty fascinating reading. A year passed, bringing the towns life to seven and a half years. Only a small number of citizens remained, most have perished from the plague, even the mayor passed away like the others. Only Jean Bruel and a handful of patients remain, and yet, as if driven by some kind of insane logic, he continued to try and find a cure. Jean Bruel had a secret. It was known to nobody save himself, but Jean was in fact a Dust mage. He had been as such for his whole life but despite this, he was a good man. He studied for days, trying to find a cure, a way to bring the town back. As he studied, the few remaining patients went cold, also succumbing to the Morbid Laughter. Jean too, began to feel the intense agony wracking his body and heard the ever increasing bestial laughter. The same evil laughter the others had heard. I think it’s fair to say Jean was on the verge of insanity by this point, driven by the disease and his Dust magic. His mind was bent on bringing the town back, no matter what. Jean called to it, begging it. As it often does, the Dust obeyed. With his final breath, Jean cast an immeasurably powerful spell before exhaling his last breath. The effects were not immediately felt. The town lay silent for several hours. Corpses lay everywhere, on the streets, in the hospital, in the homes, nothing stirred. But over time, the corpses began to stir and rise again, with green-yellow corpse-lights in their eyes. Looking disgustedly and in terror at their new forms, the former citizens of Thistle-Knoll were reborn. Their new bodies, despite how they abhorred them, afforded them several unseen (at the time) benefits. Jean Bruel had brought back the town, but in turn had afford them a horrible form. They lived, but they were abominations and they knew it. And thus, the Plague Envoys were born. They took this name as they believed that the plague had power over them still, in a visual sense at least, they were emissaries for it. The Plague Envoys are a race of undead creatures were were once Human, brought back to life with Dust magic. Obviously, many of them despised their new forms (some even attempting suicide), while the majority decided to carry on with their “unlives”. The town of Thistle-Knoll is now a dark, dark place with an unshakable pall of death hanging over it and the stench of the plague looming like a cloud above it. Meetings between the Plague Envoys and their former countrymen from Bulrin and Riefe were often met with horror, their former friends forsaking them as undead monsters that should be purged. The Plague Envoys look much like an ordinary Human being, with a handful of significant differences. They almost always will have decayed flesh and a pale look to their face. They are quite often missing flesh on their forearms and lower jaws, exposing bone (which quite often is morphed slightly into claws and fangs respectively) but the reason for this specific deformity is unknown. Plague Envoys also always have yellow-green glowing eyes, giving them a fearful appearance in the dark. Presumably this light is from the Dust magic that was used to animate them. Plague Envoys are one of the only undead beings in Daetrolos that have retained free will, putting them firmly in the “High Undead” category. Another feature of a Plague Envoy is the green musk that seems to follow them, bringing with it a terrible odor. This musk almost certainly comes from a combination of their decayed flesh and the plague. Which highlights another point, Plague Envoys no longer decay and appear to be able to pass on diseases to others with frightening efficiency. This often gets them labelled as “Plaguebearers” and “Diseased Rats”. But Plague envoys are Human in every other sense apart from physical appearance. They feel love, hate, happiness and sorrow like any other Human. However, all of these feelings tend to carry a melancholy taint with them. Time and age mean little to them now, as they outlive their relatives ad friends in their home countries with ease. Many Plague Envoys search for the cause of the Morbid Laughter or a cure for it, leading many into the path of the alchemist. Many follow the path of their savior (or corrupter, as some call him) and learn to wield Dust magic, their corrupted bodies giving them a measure of protection from its effects. 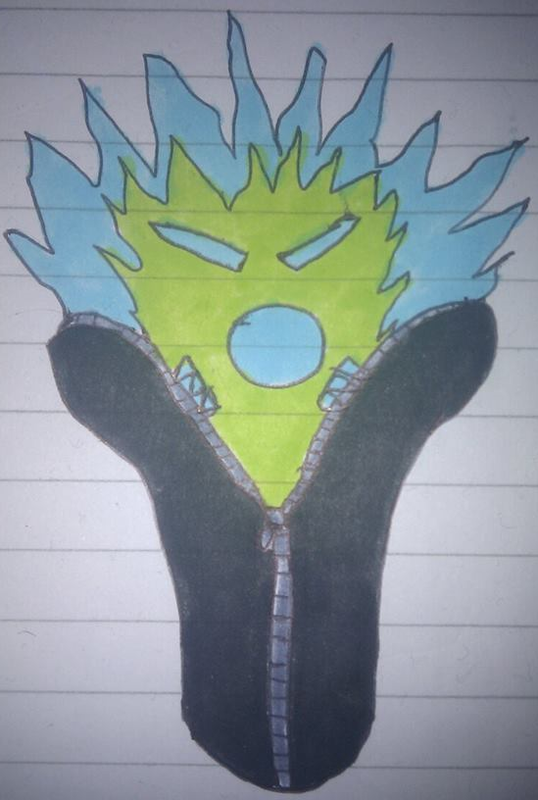 They also make ferocious opponents in combat, being nigh-on impossible to slay and possessing natural weapons in the form of their claws and tough decayed bodies. They have an uncanny ability to continue to fight even as they are dismembered and decapitated, much like other undead creatures. Fear the nightmarish Beast of Eyes. With its overpowering azure gaze. 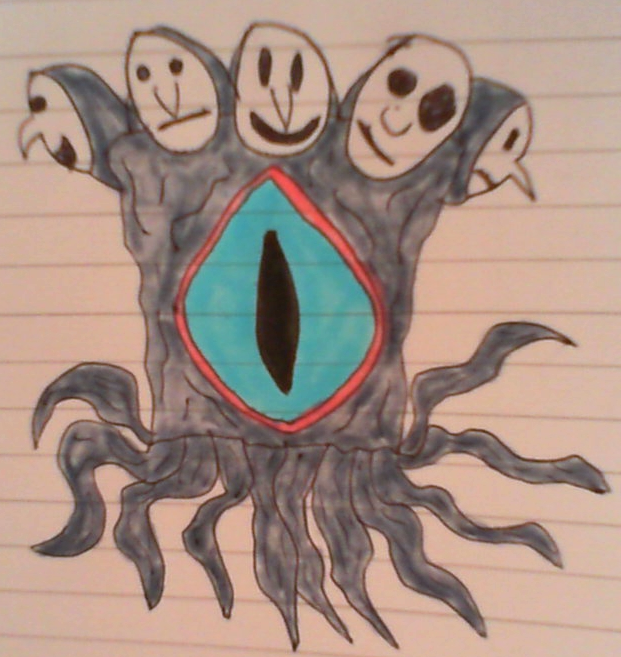 With its writhing tentacles ready to choke your soul. With its disturbingly soothing speech. With its abhorrent expressionless countenance. It wants you to feel no hope in this life. Dread the evil Beast of Eyes. It sees your deepest secrets. It knows your innermost desires. It glares at your hearts yearning. It preys upon your dreams. 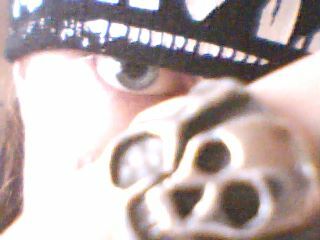 It wishes nothing but the ruination of your soul. Despise the disgusting Beast of Eyes. It’ll whisper of deceit to your lover. It’ll plant seeds of betrayal in your friends. It’ll cackle as your family splinters. It’ll hound you for all of your years. It will turn everyone and everything against you. I have some wonderful news today! Technically it’s old news as it was last night, but i still feel i should report it. For anybody that follows me on Twitter, you may have already read what I’m about to report, but this is for the rest of my friends out there on the internet who may not want to use Twitter. At some point last night, not sure of an exact or even approximate time, WorldofHarley reached 500 followers. As you can imagine, I’m overjoyed by this news! I never expected to reach 100 followers when i started this blog, let alone 500. I created this asylum of a blog to try and get some of my work out there, i think it may be working even if i say so myself! I just wanted to write this short post to say thank you to everyone who decided to become an inmate of this blog. So yes, from me and the voices in my head, thank you all so very much. I will continue to do what I’m doing so i hope you continue to read my stuff. It means a hell of a lot. May the madness never end! I doff my hat to you! Have an extra crazy day inmates!